A good office chair is a kind of a solid, consoling and supportive partner. Bad chair is like a bad novel which generally causes inconvenient pain in the back (side). The quality of office chair affects both your health and productivity. Working in an office usually involves spending a lot of time sitting in a position that adds stress to the structures of the spine. Therefore, to avoid development of back problems, it is important to have an office chair that is ergonomic and promotes good posture. While we invest a fair bit of efforts, thoughts & money in acquiring the correct desk for the study and the office, we often overlook the most important chair. Here’s our checklist to find one that has ergonomic posture to keep the musculoskeletal system in good shape. Does the chair support your back? A right chair is the one with backrest support key areas around the lower back, middle and upper back. It prevents slouching in your lower back and keeps you away from stress and suffering. An ideal chair is the one with a curved backrest that matches your spine curvature. A chair with cushioned support has a maintained lumbar region & does not get flattened which makes it comfortable to sit on for extended periods of time. The forward or backward tilt of the seat should be adjustable. If your chair has multiple users, it’s recommended to have an adjustable lumbar support. Is your chair at correct height? 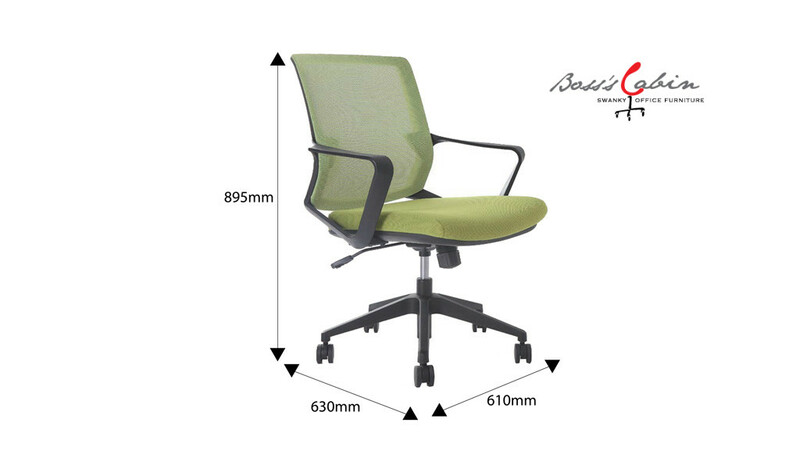 A chair with height adjustment feature lets you synchronize with your desktop height. You can adjust the seat such that your feet rests on the ground and arms are at the same level as the table. This allows the muscles to release heat and transfer it to your back and limbs. The width and depth of the seat should support any user comfortably. Usually 17 to 20 inches wide is the standard. However, it should not be so wide that you have to stretch your arms to rest them on the armrest. The depth (front to back of the seat) should be sufficient to allow you to sit with your back against the backrest. Also, there should be approximately 2 to 4 inch distance between the back of your knees and the front of the seat. A chair with adjustable armrests that can be raised or lowered, makes sure that your arms and shoulders relax. 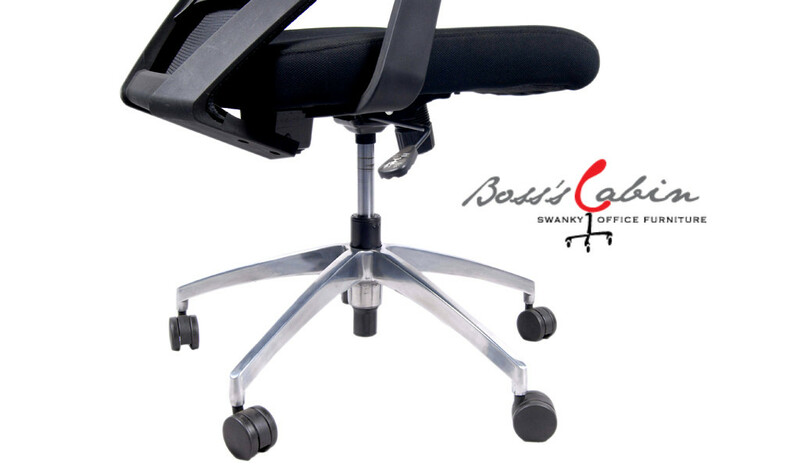 It ensures that your elbows and forearms rest lightly on the armrest when typing or reading. 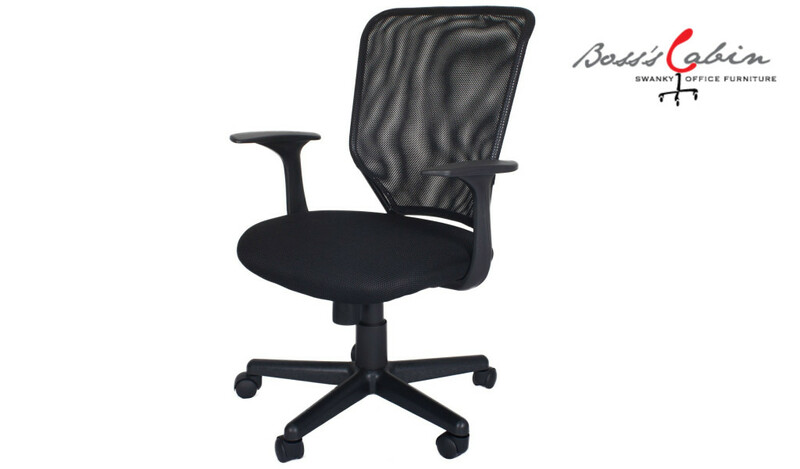 A good chair is one that allows you to rotate smoothly with easy access to every corner of your desktop. Chairs come in a variety of materials and coatings from vinyl, leather and felt fabric to art-leather. But, choose a chair with a breathable fabric to allow air circulation through clothes to the skin. Also, the material of your chair should be soft & padded to be comfortable to sit on for extended periods of time.